Children (4-12 years) - N$ 440.00. Prices valid until end of December 2018. Catamaran Charters have been operating marine tours for many years and are well established. 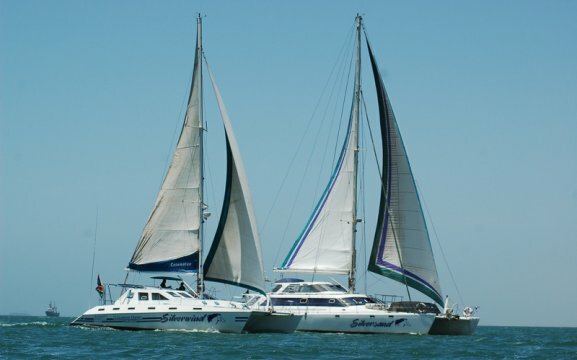 We operate with 4 modern and well-equipped catamarans of which 3 are sailing catamarans. All of our catamarans offer on deck seating to ensure your comfort during your boat cruise. There is also an interior saloon for those that prefer to sit inside. There are toilets on board as well. 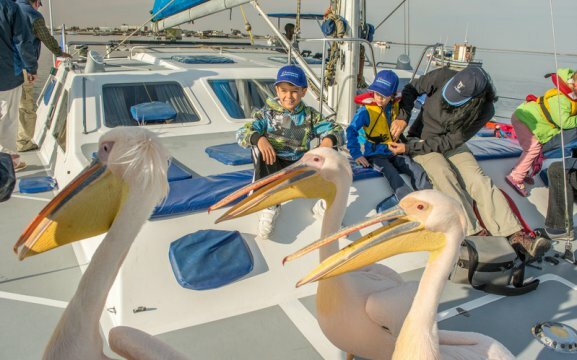 We offer sightseeing tours in the Walvis Bay area and are an ideal activity for families. 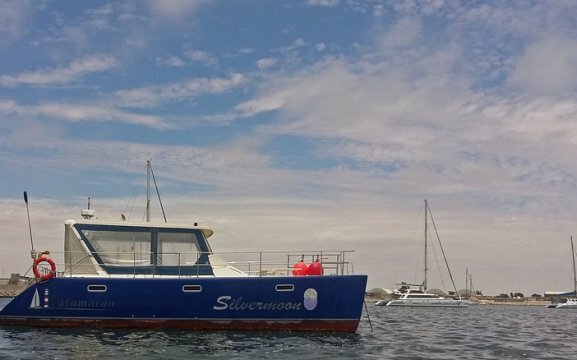 We go in search of the marine big 5 which includes seals, dolphins, whales, leatherback turtles and Mola (sunfish). 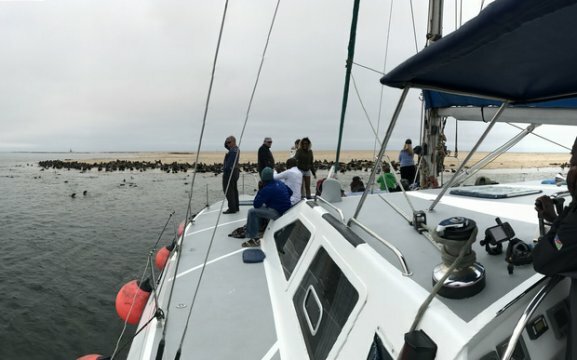 During your boat cruise you will also get to experience seeing the Pelican Point lighthouse with its resident population of up to 50000 seals, a shipwreck and the oyster platforms. The dolphins (we have 3 different kinds of dolphins: Dusky, Bottlenose and Heavyside Dolphins.) will often frolic and play alongside the catamarans whilst sailing. 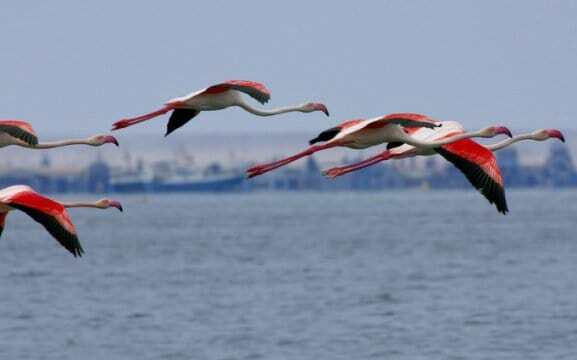 There are many different kinds of bird species to see such as Cape Cormorants, Gulls and Pelicans. 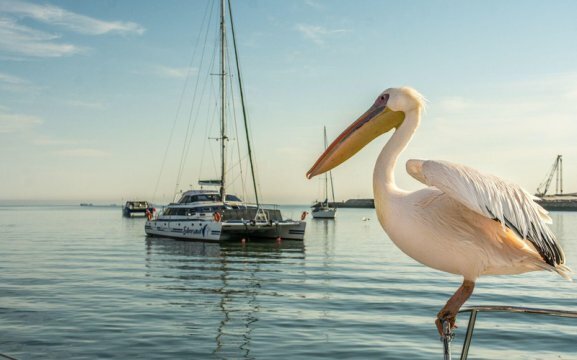 The Pelicans will sometimes fly in very close proximity of the catamarans as they hope to receive a snack from the crew…you can almost reach out and touch them! 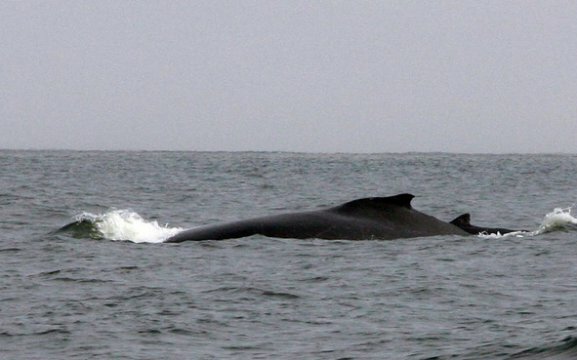 At certain times of the year the Southern Right and Humpback Whales can be seen…if we are lucky we occasionally get to see these enormous sea giants breaching out of the water. Refreshments are served which includes sparkling wine and oysters as well as savory snacks, cakes and coffee and tea. All of our marine tours are led by highly experienced and well-qualified skippers and guides. Check-in at 08h30. Departure at 09h00. 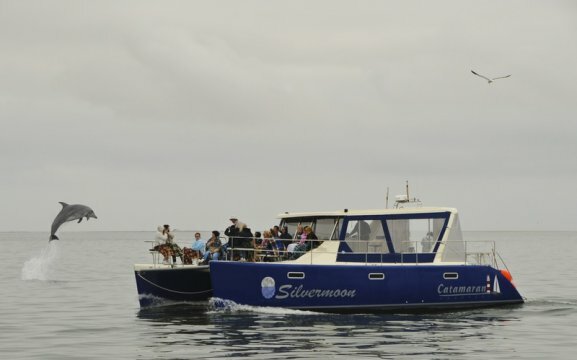 Marine cruises depart every morning from our Jetty at the Walvis Bay Waterfront. Return to Walvis Bay Waterfront at 12h30. Boat cruise lasts approximately 3.5 hours. Please note that pick-ups are not included in the price. Should you require a transfer from your accommodation establishment in Walvis Bay or Swakopmund then this can be arranged at a small additional fee. We do cater for people with physical disabilities. Please inform us in advance if you require any assistance. It can get cold out on the water so we suggest that you bring some warm clothing (a jacket is recommended). We do have woolen blankets on board. Please only wear flat shoes. Please bring a hat and sunscreen for protection against the sun.